“The interior of the flat and the location couldn’t be more perfect.” That’s the view of new resident Arabella Gamble, who has just purchased a two-bedroom apartment at Redcliffe Place in Bristol. Beautifully appointed two and three-bed apartments at Redcliffe Place offer a home from home. 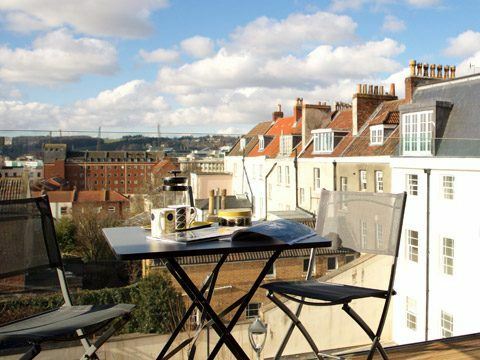 With balcony or terrace, and located within a short stroll of Bristol’s Harbourside, this is definitely the Place to start a new style of living. Arabella says, “The layout of the flat is amazing, open plan kitchen/sitting room with the beautiful engineered oak flooring leading out to the balcony. This was the first thing that I loved when I walked in, it looked so smart compared to other flats that I had previously looked at. The apartments at Redcliffe Place all feature spacious outside terraces and balconies, many with views out over the Bristol skyline towards the beauty of Ashton Court Estate. The family bathrooms and en-suites in these contemporary apartments have been designed with the highest attention to detail and the sleek Porcelanosa kitchens feature integrated Neff appliances, contemporary matt finished units and silestone work surfaces and splashbacks. Large ceiling to floor windows maximise light throughout the apartments. So close to Bristol’s Harbourside, Redcliffe Place is just a short stroll from the restaurants, cafes and bars, shops and cultural life of the city. Two and three-bedroom apartments at Redcliffe Place are available to move in now, prices start from £380,000.